Sometimes love arrives too late. She was just a young girl. But now Sami's been forced into a torturous solitude, with only her thoughts to amuse and consume her. Will love, once again, be allowed into her darkened heart or will the heartbreak of her past keep her its prisoner until her last breath? As she traipsed up a small hill, a sense of dread rose in her throat and as she made it to the top, her heart shattered inside her chest. A scream filled her ears, and her legs sprinted toward the tree in front of her. Clawing at the bark, she climbed as fast as she could, sliding back down several times before she made it to the rope tied to the cracked branch. Easing her way out toward it, a simmering heat rose in her cheeks as panic swept through every cell in her body. “Don’t be dead,” she cried out, as she leaned against the branch and fumbled with the knot. Her fingers began to bleed as she dug at the course rope, staring down at the top of Cassie’s head. After dozens of attempts she felt the branch dip down and she realized that was her only chance to save her friend. She grasped onto another branch and pulled herself to her feet, jumping as high as she could, over and over again. Her trembling fingers ached as she held onto the branch and watched Cassie’s lifeless body slam into the dirt below. A cackle from the brush, caught her attention and she wriggled her way back to the trunk, peering down at the three boys emerging from the shadows. “What have you done?” she screamed at them, sobs shaking her entire body as her eyes darted between Cassie and the boys. “She was a whore,” the tallest boy yelled back, a wide grin plastered across his face. The three boys pulled a ladder from the brush and set it against the trunk of the tree. The tallest one climbed first, drawing closer to her. Her pulse beat furiously in her ears and she looked around for an escape route. A fire erupted in her chest and she remembered the night of her mother’s execution. Her father had begged her to never allow her powers to emerge in public, but she had no choice. Glaring down at the boys, she squeezed her eyes shut and focused on the powers within. Suddenly, a burst of energy shot out from the core of her body, and she was flung from the tree, opening her eyes just as she struck the ground. She gasped for air and rolled over on her stomach, spots of white fading in and out as she concentrated on not passing out. Drawing in a few deep breaths, she fought the blackness as her gaze darted around, searching for the three boys. Their bodies were sprawled across the terrain, lying on the other end of the tree, burnt to a crisp, along with Cassie’s body, which had settled onto the ground just a few feet away. She quivered as the tears tumbled from her eyelids, scooting an inch toward her friend, just as the darkness edged its way over her eyes. 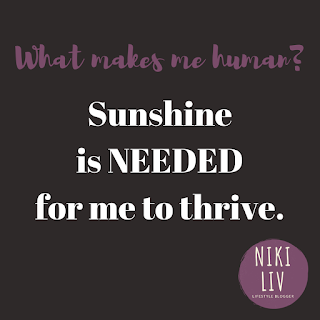 My entire life I have spent countless hours out in the sun and when it hides behind the winter clouds for too many days in a row, I feel the affects of its absence. My mood plummets and my motivation weaves like a drunken sailor along the bottom of a deep ravine. The sun feeds my soul and without it, I stumble. Right at this moment, I'm staring outside my window, enjoying the warmth of the sun on my face. It literally fills my heart with joy and my mind with peace. And having these days during the month of January are few and far in between. 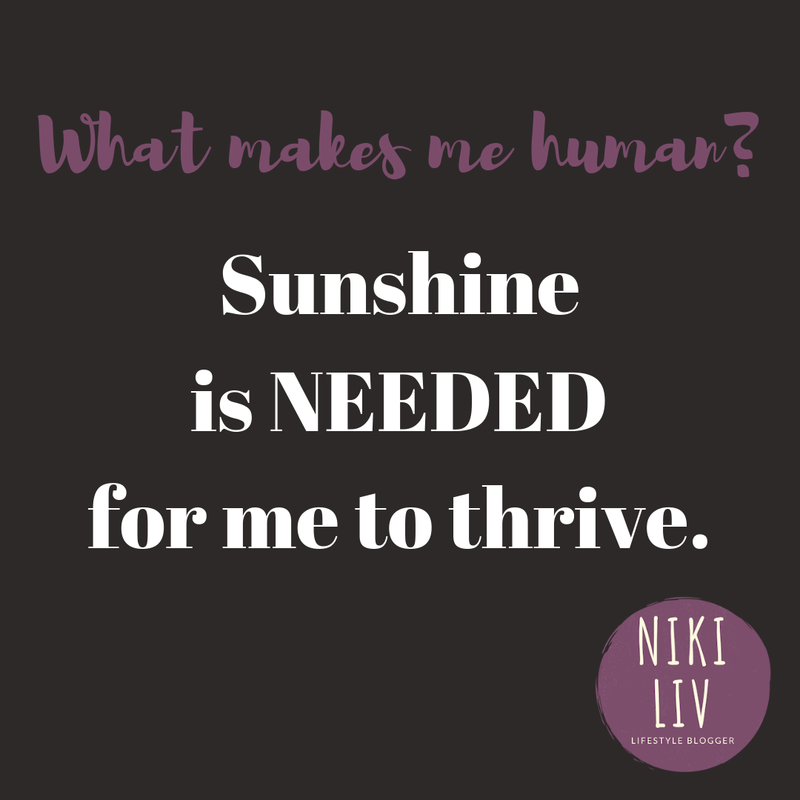 In the past, I have taken to the tanning beds, desperate to receive any source of the sun's happy vitamins that would help me navigate through the winter months. But as I reached my mid-thirties, I realized how damaging those beds were on my skin. Not only did I want to protect my skin from cancerous cells, I was now even more desperate to slow the process of aging. Last winter, I discovered the Happy Light. And it saved me. Thirty minutes a day, throughout the dark and dreary months of winter, and it's almost as satisfying as going to a tanning bed. But here's the gist of it all, regardless of aging skin and cancerous cells, having the sun wash across my skin makes me feel alive. 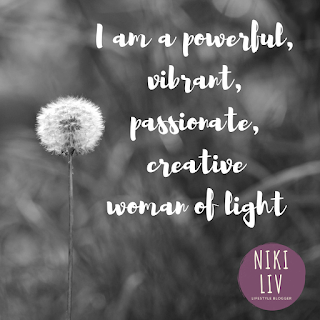 It provides me with a vibrant energy that is hard to replicate. Yes, the Happy Light is nice, but it is not the same as the beautiful, gigantic fireball in the sky. Don't get me wrong. I'm still going. I write. I work. I clean my house and take care of my family. But I've come to a place in my life where I'm okay to not push through my day, if it's not needed. If I'm at home and my house is a mess and laundry is piled up, but I feel the weight of the world on my shoulders, I choose me in those moments. I can start again tomorrow. And that, my friends, is okay. Because I'm only human. For my Dad. Thank you for showing me the stars. Gah! Book release days are always the most exciting for me! I'm a Sci-Fi nerd and I owe it all to my dad. He had no problems letting me watch Alien and Aliens at a young age, and our movie lives circled around Indiana Jones, Star Wars, Star Trek, and many others. My mom didn't stand a chance. She was a scientist, surrounded by a family of science fiction geeks. I guess it worked out. She got her fill of science and my dad was entertained by the fiction, and us kids, we were along for the adventure. And now, my first Sci-Fi novelette is HERE! With many more full novels to come. Take a look, grab your copy on Amazon, and stumble through the webs of time with me! And she plays by the rules. However, her entire life shifts in an instant, when a blue-eyed man walks into her place of work and discloses a ludicrous story to explain the mysteries of her forgotten past. Despite her resistance and demands to be left alone, she's forced into a world where her future becomes her past and the goverment's of Earth are searching for her execution. Will she embrace her true nature or succumb to the threats of her parents' enemies? 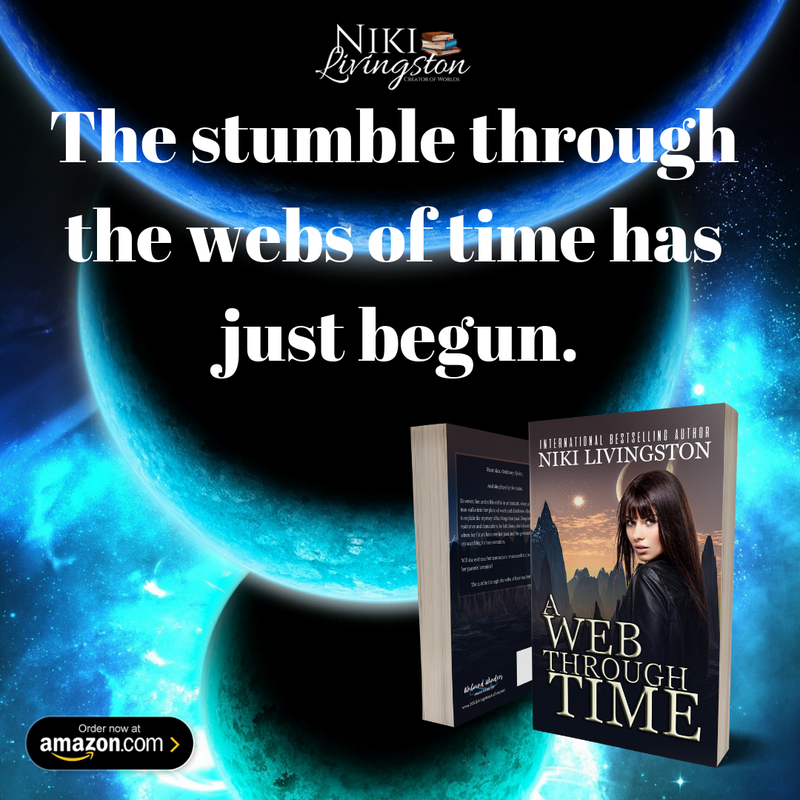 The tumble through the webs of time has just begun. And as always, I would love to hear your thoughts on the story. Catch you on the flip side! 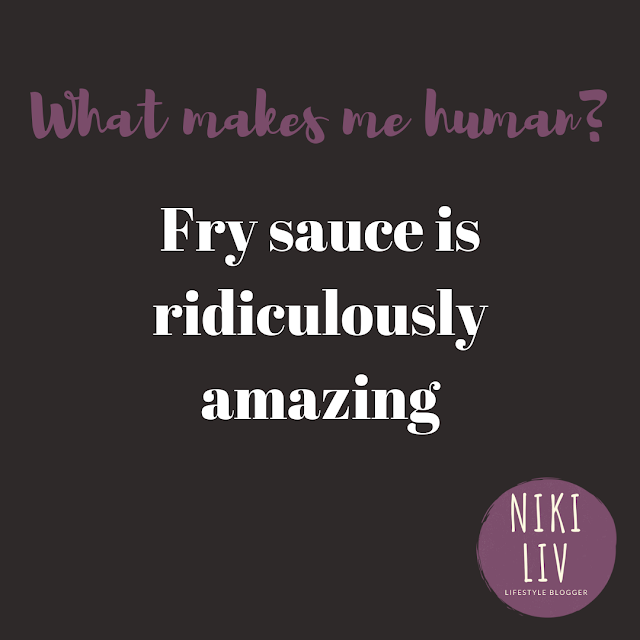 I'll admit, I LOVE fry sauce. But you can't blame me. It's ridiculously AMAZING. What's your favorite food dipping sauce? It's exciting. For me at least. Because I am still alive, and that alone is something to celebrate. Forty-Two years ago, I graced the world with my presence and it has taken me nearly that many years to really see how amazing that truly is. I am here. Alive. And until I take that last breath, I'm going to live my life out loud. All of you badass, inspirational, rock-the-boat, oddball, out-of-the-box MISFITS in my life. There's a reason you came strolling into my life. And if we no longer speak, there is STILL a reason we met, no matter what the circumstances of our separation. I have grown in ways I never thought possible because of all of you. And I'm starting this New Year with a brand new perspective on life. 2018 was amazing. But it was also one of the most difficult years I have faced in a very long time. The lessons I've learned will forever stay with me and regardless of the hardships I had to face, I'm grateful for the expansion in my heart and soul. Here I am. My heart is open. My soul is strong. And my Creator still needs me on this Earth. And I am celebrating because there is so much more to come.